Maria Cantwell (born as Maria E. Cantwell in Indianapolis, Indiana, U.S.) is a famous Politician from USA, she is 60 years old and still alive, born October 13, 1958. Maria E. Cantwell is an American politician. She is a senator representing Washington and the Democratic party. She came into the Senate 3 January 2001. 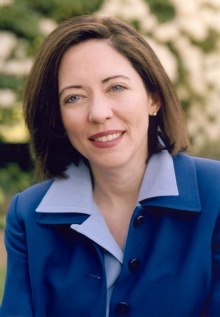 She represented Washington's first district in the House of Representatives from 1993 to 1995. She was not reelected, and got a job at Real Networks. She was multi-millionaire because of a share option in RealNetworks. To finance her election campaign to the Senate in 2000, she sold approximately 100,000 shares at a value of 44 dollars apiece. She is born under the zodiac libra, who is known for Balance, Justice, Truth, Beauty, Perfection. Our collection contains 4 quotes who is written / told by Maria. "We'll make our voices heard loud and clear on the importance of cost-based power"
"But the fact is, it's illegal for the Administration to spend North west taxpayers' money to develop this rate hike proposal, just so it can turn around and raise their energy rates"
"We will not rest until the wooden stake is punched through the heart of the Enron lawsuit against us"
"Dr. King's leadership reaffirmed the promise of our democracy: that everyday people, working together, have the power to change our government and our institutions for the better"